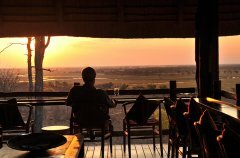 Situated overlooking the Chobe River and its adjacent floodplain, Ngoma Safari Lodge is relatively new to the Chobe Forest Reserve, having opened in 2011. 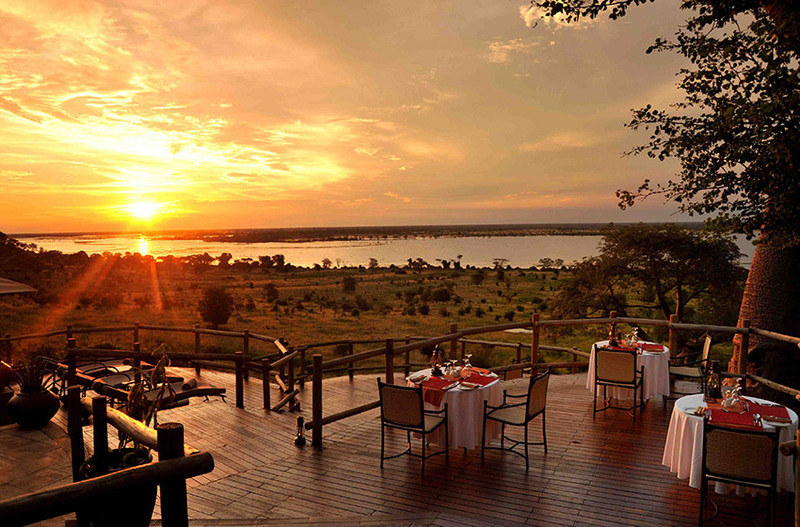 It's one of only a handful of lodges on the western side of Chobe National Park, an area that receives fewer visitors than the east, which is closer to Kasane. 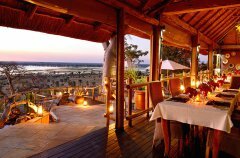 Ngoma is one of the more luxurious lodges in the quieter, western end of the Chobe Riverfront area, which is a favorite of ours. 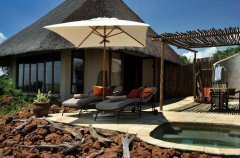 Even with its air conditioning and plunge pools it feels closer to a safari lodge then many of the options further east. 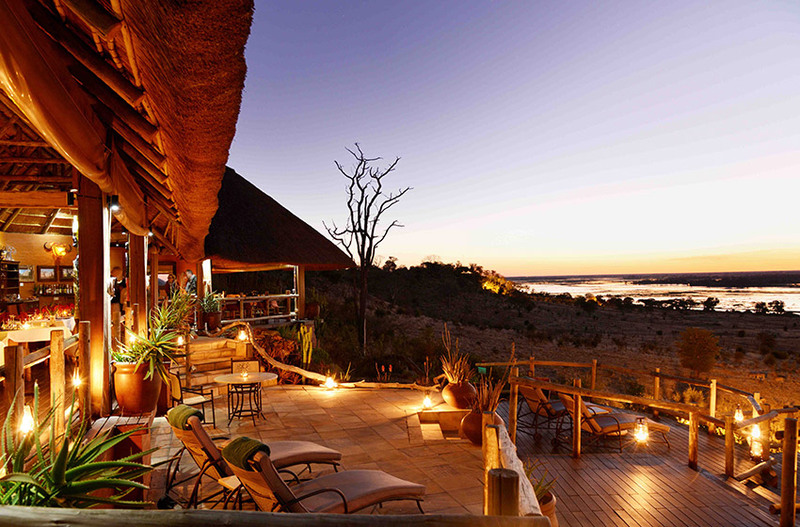 Combine this with a relatively low density of visitors, high standards and an enthusiastic team of staff and we think Ngoma makes for a great lodge! Each of the lodge’s 8 river-facing suites offers quiet refuge in a luxurious setting with an emphasis on space and comfort, and comes complete with overhead fan, air conditioning, mini-bar and tea/coffee facilities, bath, indoor and outdoor showers as well as a private outdoor living area with a ‘refresh and relax’ pool. 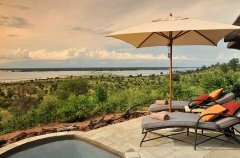 Directions: It's roughly a 50-minute drive from Kasane Airport to Ngoma, largely along a tar road; transfers are made in an air-conditioned minibus. Ideal length of stay: Two or three nights, either at the start or end of your safari in Botswana, especially between July and October when game densities along the Chobe Riverfront tend to be higher. 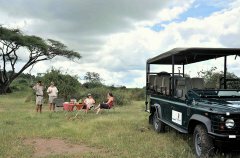 Attitude towards children: Children aged 10 years and over are welcome at Ngoma Safari Lodge. Equipment: Two of the rooms can be converted into triples. Generally recommended for children: Ngoma strikes us as being a little more suited to couples than families. We would not recommend it for children younger than 16 years, and only for those who have a keen interest in wildlife. Notes: Due to the presence of potentially dangerous wildlife around this unfenced camp, children must be under the constant supervision of their parents. The pool is unfenced and there are steep drops in front of many of the chalets and viewing decks. Power supply notes: Ngoma is connected to the mains power supply from Kasane. Communications: There is usually cellphone coverage at Ngoma as well as WiFi in the main area. 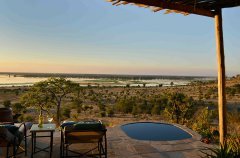 TV & radio: There is no TV or radio at Ngoma. Water supply notes: The rooms at Ngoma have fully plumbed showers. 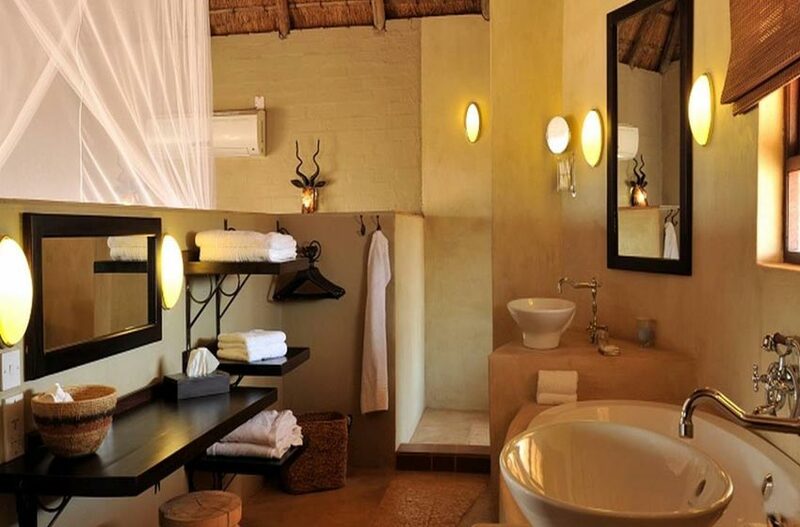 Toilets are flushing and there is running water in the en-suite bathrooms. 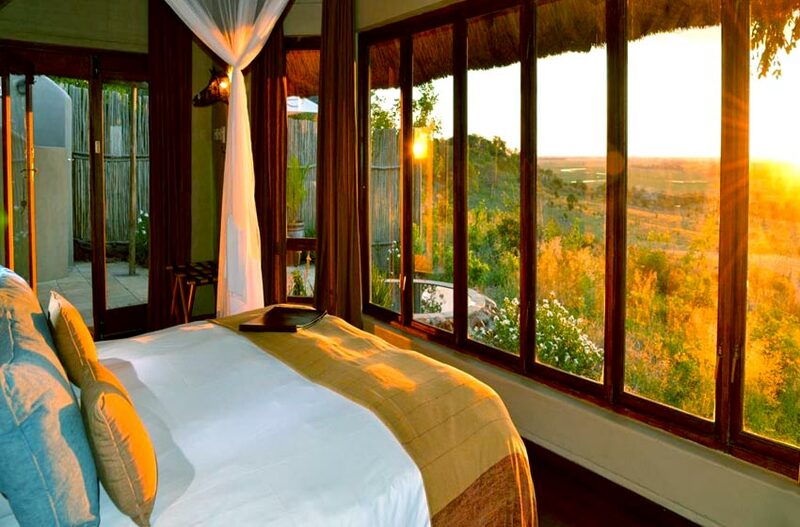 Fresh bottled mineral water and glasses are kept on a stand by the bed. Ngoma Safari Lodge rate includes accommodation, full board, all house beverages, laundry, scheduled activities, road transfers from Kasane Airport or Kazungula Borders, bed levy, VAT, Park Fees and Community Levy. We reserve the right to adjust rates in accordance with charges in Government legislation. 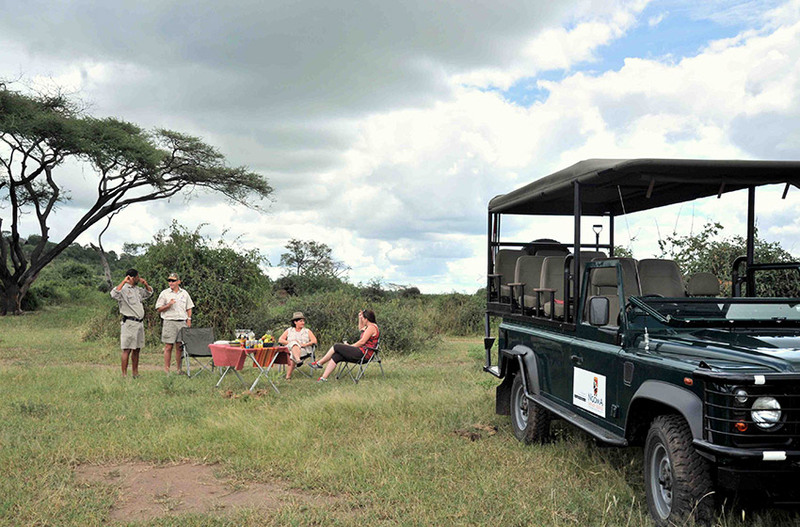 Rates exclude premium beverages, shop purchases, private vehicle activities, private vehicle transfers and gratuities. 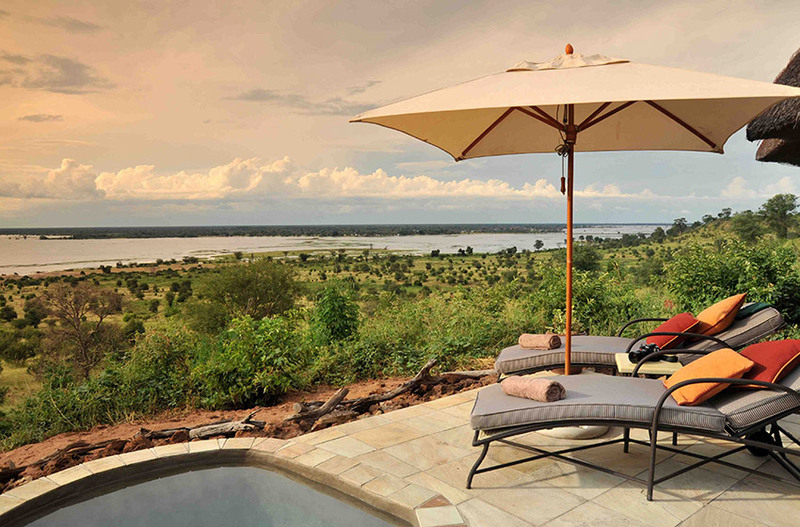 Ngoma Gate entrance is 5 kilometres/3.1 miles. 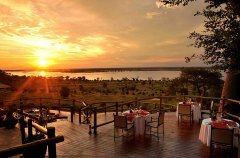 Each of Ngoma Safari Lodge suites has a view of the river and offers the opportunity to see the famous Chobe elephants, migrating zebra or buffalo grazing on the floodplain below. 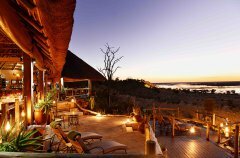 Ngoma Safari Lodge is a joint community and privately-funded project in association with the Chobe Enclave Conservation Trust (CECT). 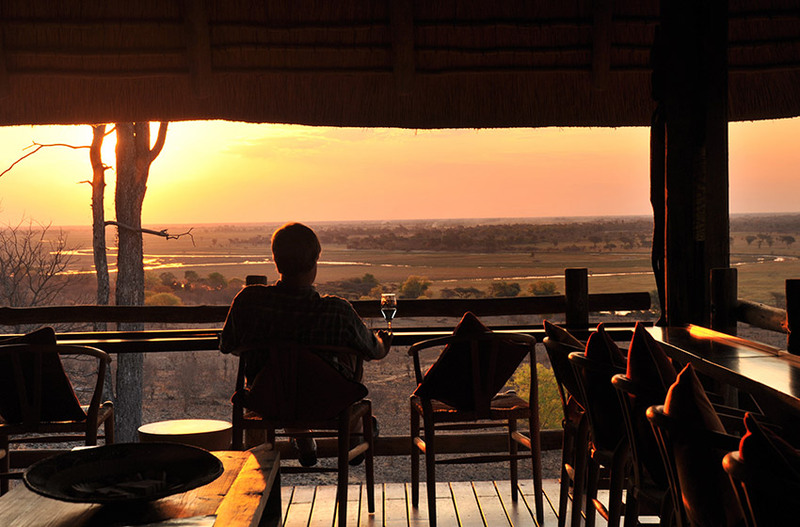 Through its social responsibility programmes, the Lodge enriches the lives of those living within this community. From the outset CECT has benefitted directly from a land lease fee and bed levy, as well as employment opportunities for the community. 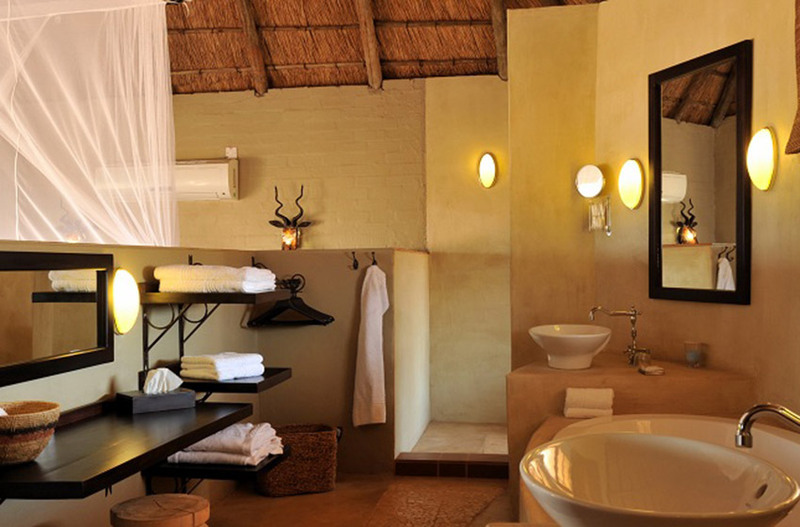 Check-in time is 14:00; check-out time is 10:00. Internet and communication facilities – subject to local service providers. A swimming pool, sundeck and adjacent viewing platform. 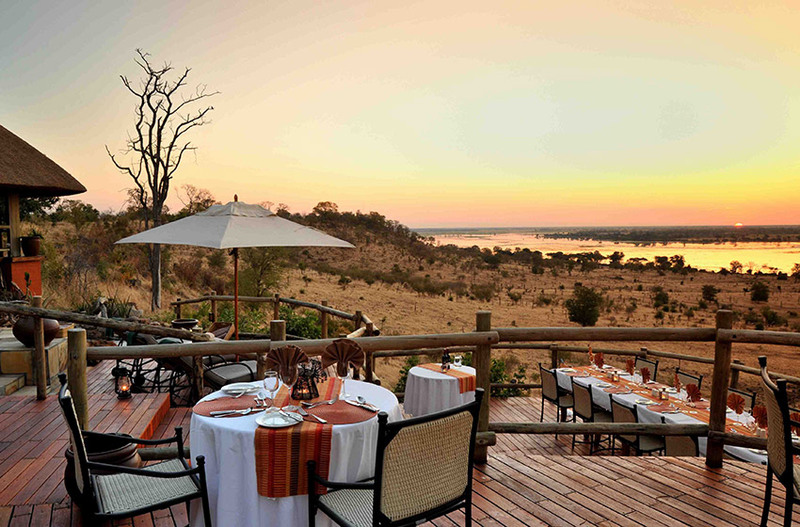 Flights via Kasane Airport – Botswana, Victoria Falls Airport – Zimbabwe or Livingstone Airport – Zambia. 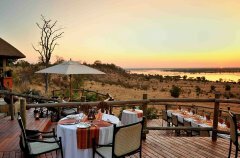 Road transfers are approximately 1 hour 15 minutes from the Kazungula border with Zambia, 1 hour from Kazungula Border with Zimbabwe, 45 minutes from Kasane Airport and approximately 3 hours from Livingstone or Victoria Falls airports. 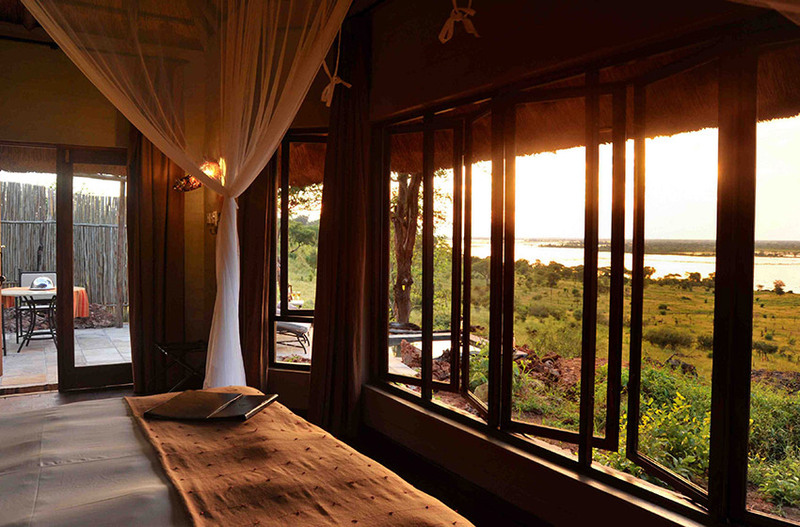 All 8 river-facing suites have spacious internal and external living areas, a bath, an inside and outside shower, overhead fans, air conditioning, mini bar, and tea/coffee facilities. 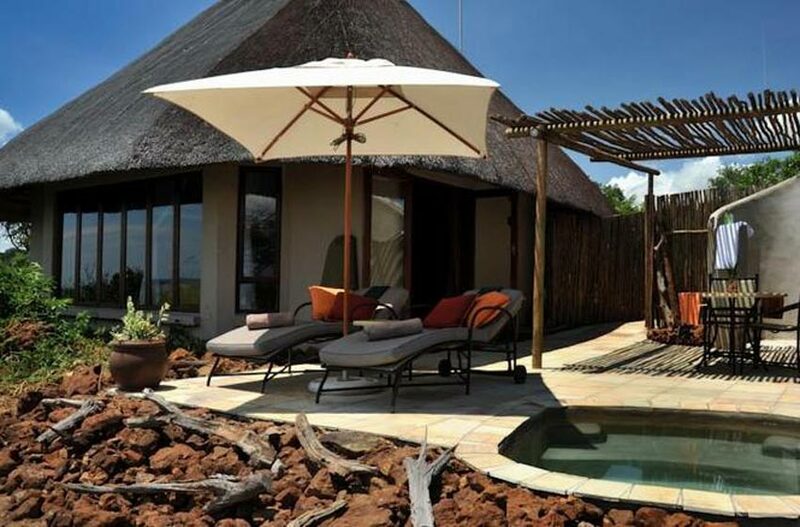 In addition, each suite has a private ‘refresh and relax’ pool conveniently located in the external living area. Two of the eight suites have a sofa bed and may be used as triples - charged at the same rate as the Per Person Sharing rate. 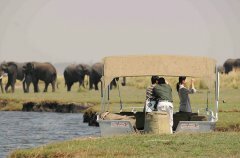 CHILD POLICY No children under 10 years unless booking entire lodge, in this event rate is 65% of adult sharing rate. (room shared with parents). 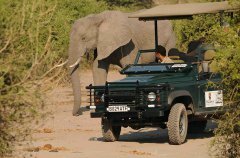 Game Drives :A full day safari:incorporating a cruise on the Chobe River, a game drive in the Chobe National Park (the region has over 75 species of mammals) and a picnic lunch. Birding :There are over 450 species to be spotted in the region. 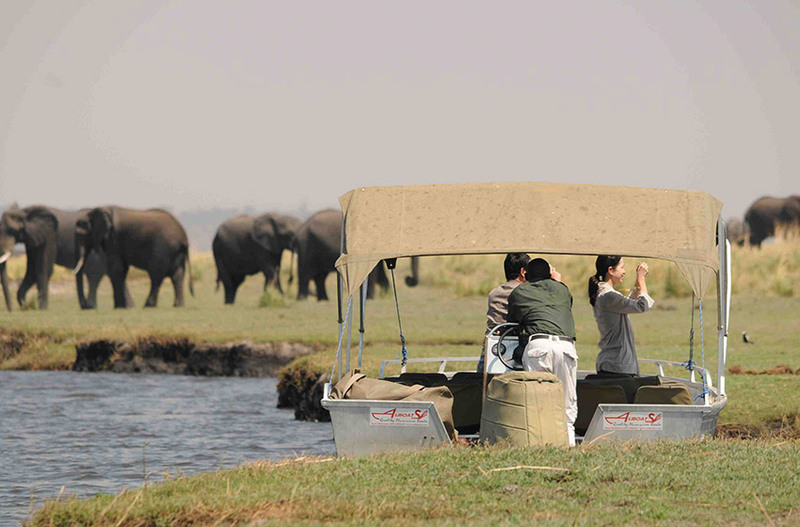 Game viewing by boat : Boat cruising on the Chobe River	Night game drives: these are done	in the Chobe Forest Reserve.